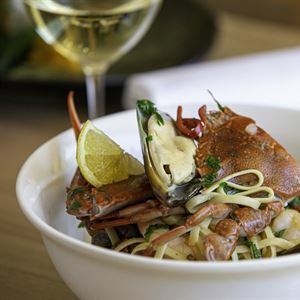 Seasonal food and great wine in a relaxed coastal setting. 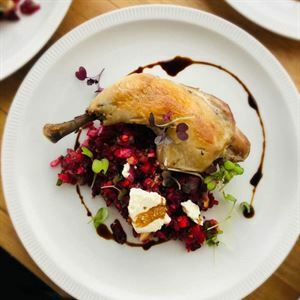 When on the Bellarine Peninsula and looking for a unique wine bar experience like no other, take time to visit Noble Rot Wine Bar set along Point Lonsdale Road. This warm and welcoming space has been styled with polished timber flooring, timber table and counter tops, ambient pendent lighting, blackboard menus and floor-to-ceiling shelving, showcasing an impressive cellar of wines. Find an eclectic, Spanish inspired menu of tapas-style dishes offering bold flavours, which have been paired with a hand selected wine menu. Begin with an entrée of South Australian oysters, shucked to order and served with Sanbaizu; before moving onto grilled King prawns with nori butter and a green salad, or calamari risotto, fennel and dill; finishing with a board of three French cheeses and accompaniments. Simply a wonderful relaxed venue to visit and enjoy quality wines from someone who really knows his stuff. Jordan asks the right questions so that he can provide you with great advice and wines whether you’re the average punter keen to learn about wine or a “Pinotfile” seeking something memorable. Noble Rot also makes a delicious coffee. Head and shoulders above the local competition. 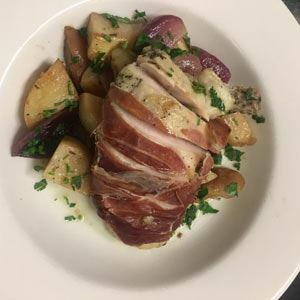 Jordan, Trish and their excellent team at Noble Rot make living on the peninsula a delight. Their incredible palate makes selecting incredible local and international wine easy: you never choose - you just put yourselves in their hands. 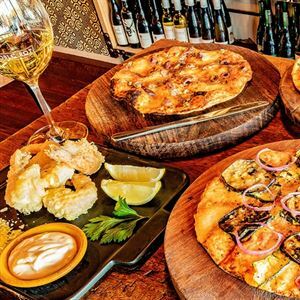 Their pizza is delicious, as well as their croquettes and snacks - we only wish they'd do a wider dinner menu as there's nothing much else currently on offer in Point Lonsdale at night (and they're such amazing cooks!). This is neither their fault nor problem: it's great that they do what they do and do it so well.